This has to be one of the sweetest blogs I ever came across. Yvonne Eijkenduijn - I couldn't pronounce her surname to save my life - is the writer behind the lovely and Belgian The Yvestown Blog. 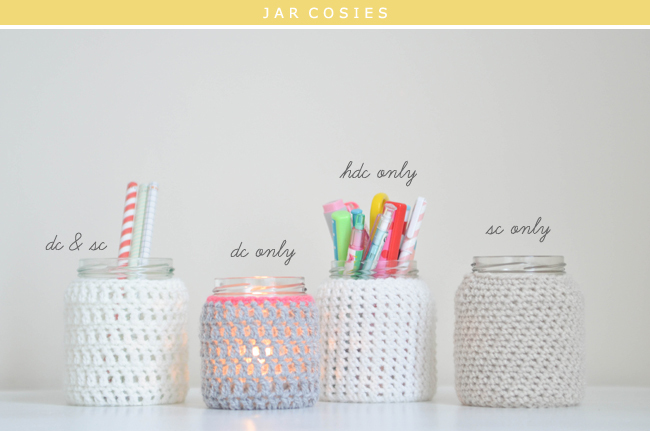 And she made available the crochet pattern for these jar cosies in the picture below, just follow the link for this and other cute crochet projects. I am definitely giving it a go whenever I have time... Always time!